A research team from the Lee Kuan Yew Centre for Innovative Cities (LKY CIC),Singapore University of Technology and Design (SUTD), visited Shinshu University's campuses and Ina City as part of research activities of "The Future of Cities," a project of seven studies examining the challenges facing Singapore in 25 years. Members of the research team were Dr. Eng Shi Ong, lecturer, Dr. Corinne Ong, research fellow and Ms. Steffie Whaung, research technician. Last year’s spring, Executive Vice President (in charge of research management) of Shinshu University, Soichiro Nakamura visited SUTD, the former workplace of his student, Mr. Hen Ming Yuan, who now belongs to a master's course in the Faculty of Agriculture. Executive Vice President Nakamura advised them to choose Ina City, which has made extensive efforts to promote the recycling of waste, as a survey location for The Future of Cities project. Dr. Ong's research team stayed at a hotel located close to the Faculty of Agriculture, Minamiminowa Village, for 6 days, as a base for their fieldwork in Ina City. According to the research team, while Singapore is a developed nation, it has experienced rapid urbanization and extremely high consumption levels. However, the rate of recycling is only 19%, and there are concerns that if they leave the situation as it is, Semakau landfill is reaching full capacity by 2040. The project aims to raise awareness among citizens of sustainability and to increase recycling rate to 30% by 2030. 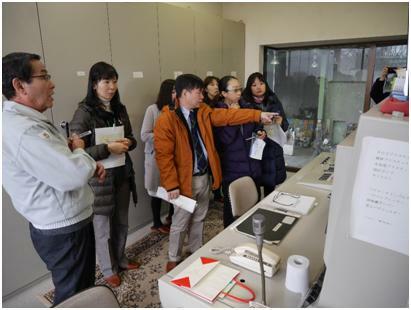 On January 19, the research team visited the International Center for Science and Innovation at Shinshu University (AICS) on the Nagano (Engineering) Campus, a core facility of the COI project “Global Aqua Innovation Center for Improving Living Standards and Water-sustainability”. 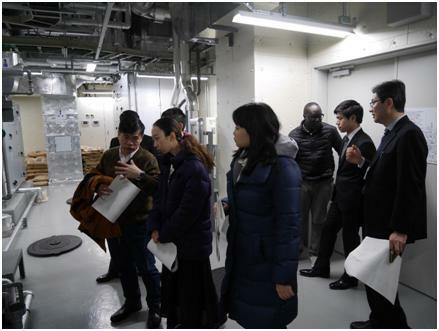 They took a tour of AICS, listening to the explanation covering 21 items which has been incorporated in AICS in order to reduce CO2 emissions by half, compared with the same type of a research building. During their visit, they met Dean of the Faculty of Engineering and Director of AICS, Shiro Handa along with Vice Dean of the Department of Architecture, Naoki Takagi. On the next day, the team made a courtesy call on Mr. Takashi Shirotori, Mayor of Ina City. This was followed by a visit to Ina City's Hatofuki Clean Center and a site inspection of a waste recycling facility. The team also visited "Miharashi Ichigoen," a strawberry greenhouse which runs a pellet stove fired by wooden pellets sourced from forests. 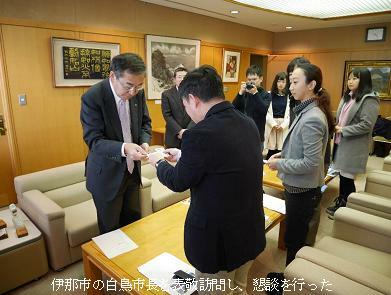 Furthermore, in the afternoon of the same day, the team held talks with Executive Vice President, Nakamura and Dean Tomoyuki Fujita in the Dean's Office of Shinshu University Faculty of Agriculture. Dr. Ong and his colleagues stated as follows: "We visited Ina City's Hatofuki Clean Center and conducted interviews among citizens. We were left deeply impressed with their awareness of recycling. 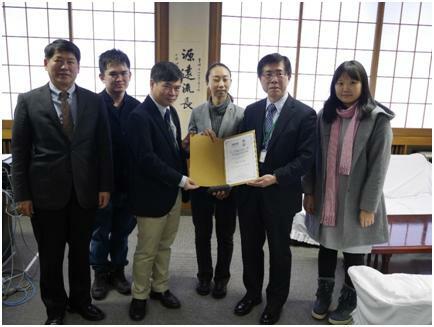 Shinshu University has many research resources and we hope to collabotate with the university as a whole in the future." SUTD and Shinshu University have agreed to set the wheels in motion for entering into an MOU this spring, with the aim of encouraging academic collaborations such as student exchange and joint research.